We want to invest in your small business. Building small business is something we’re passionate about. 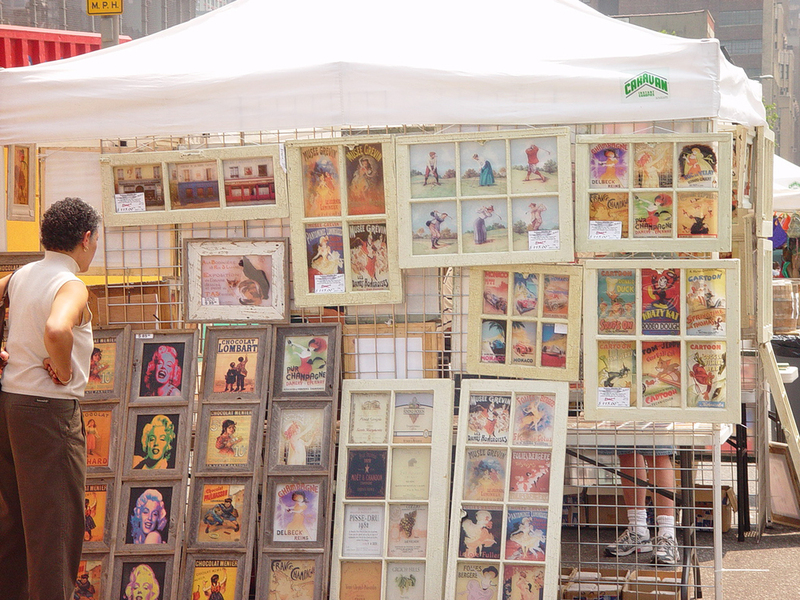 With over 30 years of experience in NYC we have provided markets for entrepreneurs, aspiring artists and creative individuals to have a place to sell their merchandise each weekend to an audience of thousands of shoppers. Affordability: when you’re just starting out, finances are a big issue. With rising real estate prices, securing a storefront can be challenging to say the least. Our booth rental prices make it affordable for you to sell your merchandise and still make money. Pop-Up Shop Philosophy: same location, same time. At the markets you have the opportunity to bring your merchandise, set up shop and sell to shoppers that already exist. Additionally, you have a place to tell your client base where they can find you each weekend to create a dependability mantra for your business. Brand Association: the Annex Markets have existed for over 30 years in NYC. They have drawn in celebrities, local personalities, tourists and everyday New Yorkers. Most people that attend markets in the city know Annex Markets. Location: with 2 markets in the heart of Chelsea and Hell’s Kitchen you’ll be selling your merchandise in two flourishing neighborhoods of NYC. This provides constant visibility and foot traffic from residents and tourists alike. Support: learn and grow from other like-minded business owners and entrepreneurs. Our markets consist of individuals ranging from beginner to professional. There’s a sense of community amongst the vendors and some of them could even be a potential client. Interested in Becoming a Vendor! Visit our Sell at the Markets page and give us a call!